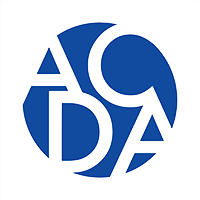 ACDA is a municipal corporation that works to encourage and facilitate responsible development and redevelopment in Anchorage by forming partnerships and working with the community. ACDA also operates EasyPark which provides value to downtown in the form of affordable, convenient, and secure parking options. We are redeveloping the Downtown Transit Center - a modern retail location. People mover will have a new and innovative space on the Northwest corner of the building. Our rooftop is free for anyone to use! We have a year-round skate rink, concrete table tennis, chess tables, half court basketball, benches and more! Contact us to schedule your event if you'll have 25 people or more (300 max capacity)! There is no charge, only a $100 cleanup deposit that is refundable upon cleanup of your event. Just be sure to follow the posted code of conduct and have fun! We are collaborating with a number of organizations to make sure that private, citizen and public security forces downtown are operating together smoothly. Our state-of-the-art dispatch center serves as an information hub for these various groups so you only have to call or text one number for your needs - whether it's a cleanup, a safety issue or anything in between. However, please do not hesitate to call 911 in an emergency.